I had the great pleasure of attending a wedding last weekend with some of my best friends in the world in the Santa Ynez Valley in Southern California. I am now absolutely smitten. Lush green hills, close to the ocean, and a sea of wineries and tasting rooms to last you well beyond the current vintage. Less snobby than Napa, I highly recommend visiting this quirkier, less publicized wine region that was featured prominently in the movie Sideways. This trip included our first plane ride with the baby. We were quite stressed about the logistics of flying with an infant beforehand, but once we made it to our destination, we were able to enjoy the scenery and relax. This was in no small part due to my mom flying in to babysit. She got a free trip to California and tons of baby time, and we got a bit of freedom. Major win for everyone. There are several little towns within the Santa Ynez Valley, each with their own unique characteristics, and we were able to make use of our down time exploring and imbibing our way through a few of them. We stayed on the outskirts of the town of Santa Ynez in a two-bedroom farmhouse loft that we booked through Airbnb. 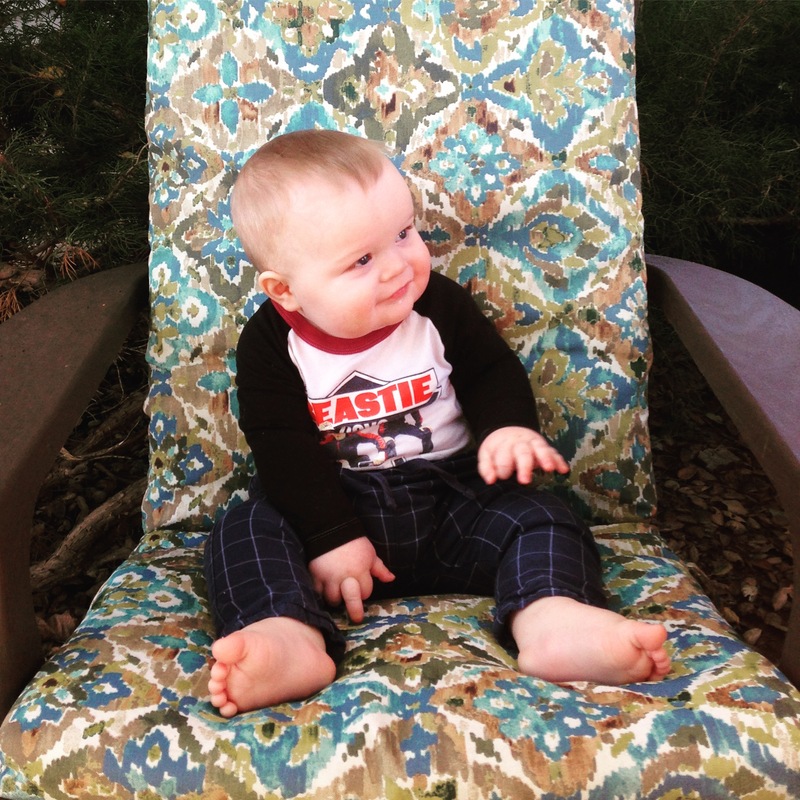 There were horses out back that we could feed, which was a first for our 9 month old. Airbnb really is the way to go when traveling with an infant because we had much more space for him to crawl around and more amenities, such as a kitchen. I was able to have my mom come out and stay in the second bedroom while we were enjoying the festivities, and it was much cheaper than the hotels in the area that offered far less. We could also quickly reach the surrounding towns from Santa Ynez or just order in from Pizza Shack, the excellent local pizza joint that does not even have website, enjoying complete privacy. 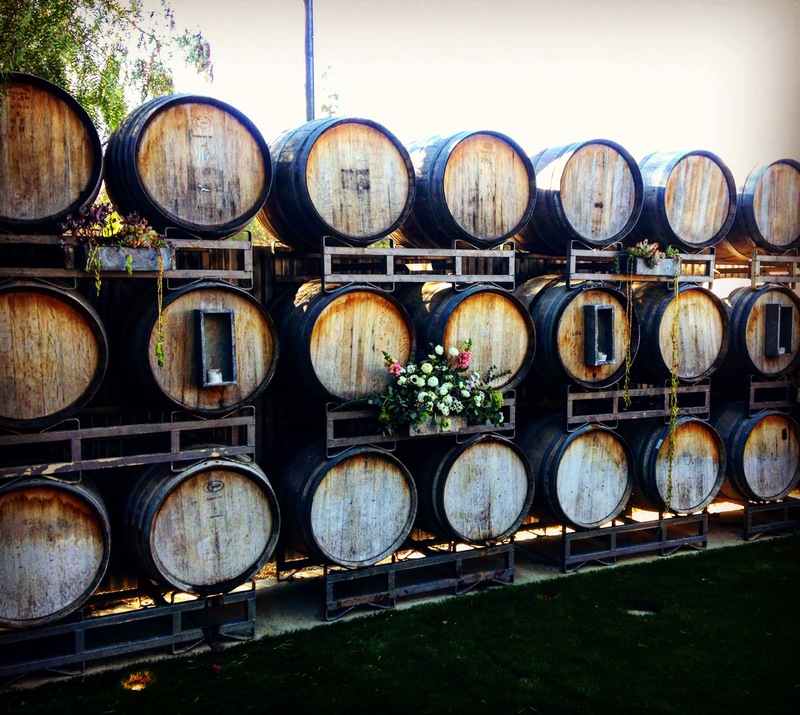 Spread throughout Santa Ynez, there are many wineries that you can visit. Our favorite was the stylish and unpretentious Roblar Winery that is open for tastings daily from 11 am – 5 pm. 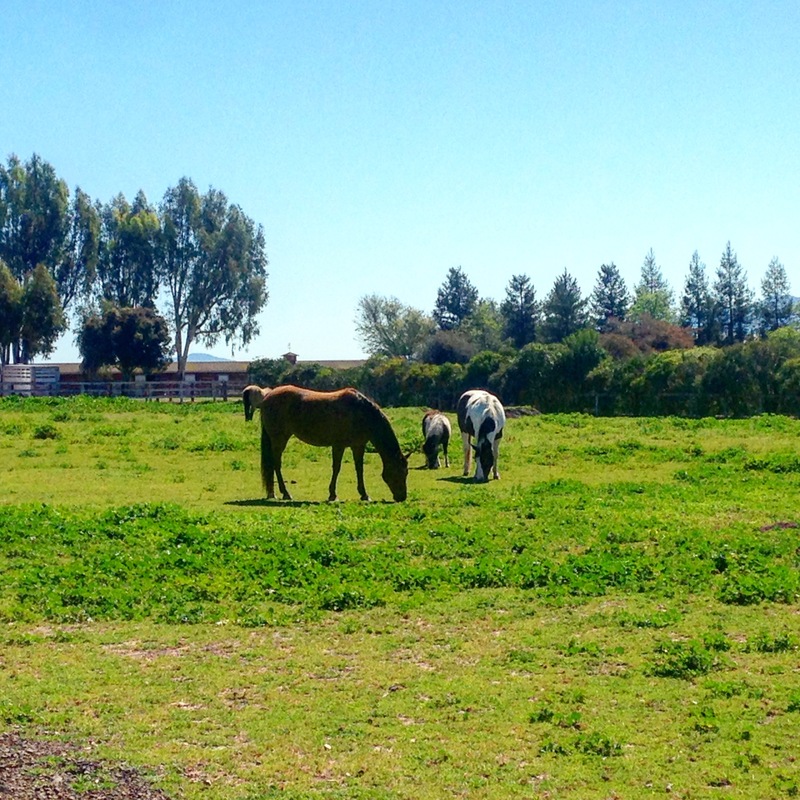 Nearby, you will also find Rancho Olivos, which offers free olive oil tastings from 11 am – 4 pm. For something a little different, Santa Ynez also boasts a casino, the Chumash Casino Resort, for entertainment, gambling, and a resort atmosphere. Dos Carlitos downtown is a great place to enjoy killer margaritas and Mexicali cuisine while sitting outside in the beautiful California weather. 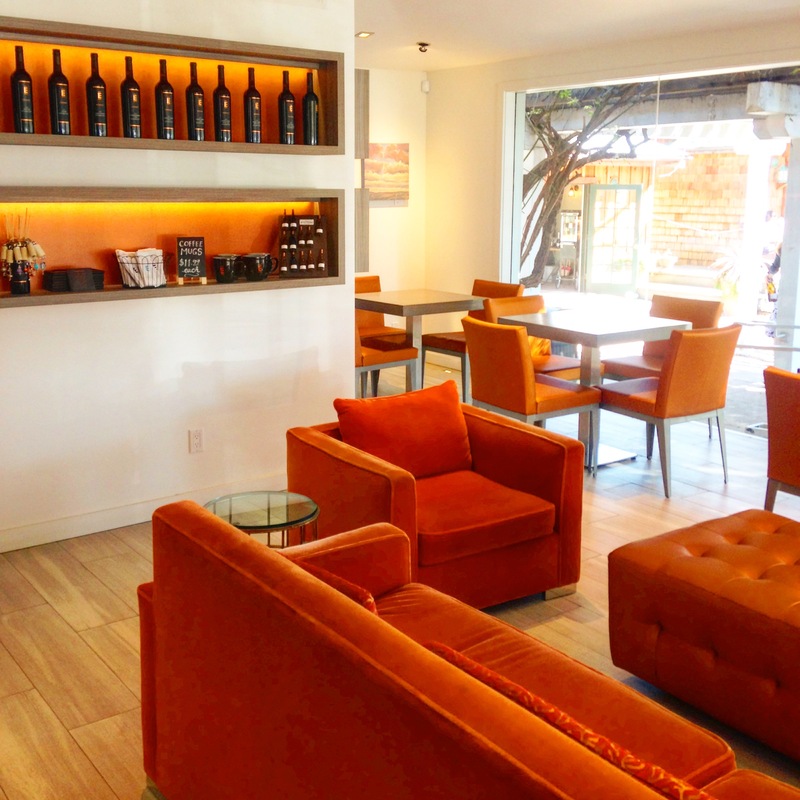 The town of Los Olivos is all about wine tasting rooms. I have never seen anything like this charming, alcohol-soaked downtown. Tasting rooms line the streets such that you can just walk from one end to the other, stopping at each one. You must pace yourself, however, or you will pass out in the street from alcohol poisoning by 1 pm. Epiphany Tasting Rooms – Before the wedding, we had planned on visiting several tasting rooms downtown; however, we only ended up making it to one: Epiphany, the tasting room belonging to the Fess Parker Wineries. Why only one you ask? Because after the main tasting room and the tasting in the Bubble Shack, together including 10 different selections, someone (me) was drunk. The tasting room included 4 wine selections with two bonus tastings, and for a cheaper price, you could tack on a visit to the Bubble Shack out back for an additional tasting of 4 sparkling wines. We may or may not have also joined their Wine Club. Oops! Saarloos & Sons – The wedding we attended was held at the venue attached to the Saarloos & Sons tasting room and included many selections from the winery that were free-flowing throughout the evening. Saarloos & Sons is a family run winery with an awesome attitude: if you act snobby, you will be kicked out. They also only host weddings for couples that fit with their style, so we were very lucky to be able to enjoy the venue for the evening. On a normal day, they offer a wine and cupcake tasting that is to die for. Figueroa Mountain Brewery – The evening before the wedding, we spent at Figueroa Mountain Brewery. Not only do they offer a large selection of their own beers, they now offer delicious food at their location in Buellton, including fish and short rib tacos. Sides Hardware and Shoes – Not that you’d know it by the name, but this is probably the most popular restaurant in the area. Not to be missed by the carnivore is the bacon appetizer that is literally a slab of bacon. The wonderfully kitchy town of Solvang was on my list once I started planning this trip because this town screams Denmark from the rooftops. They even have their own replica of the Little Mermaid statue. I’m a descendant of Danish immigrants, so I was fascinated by this little homage to Denmark in America. 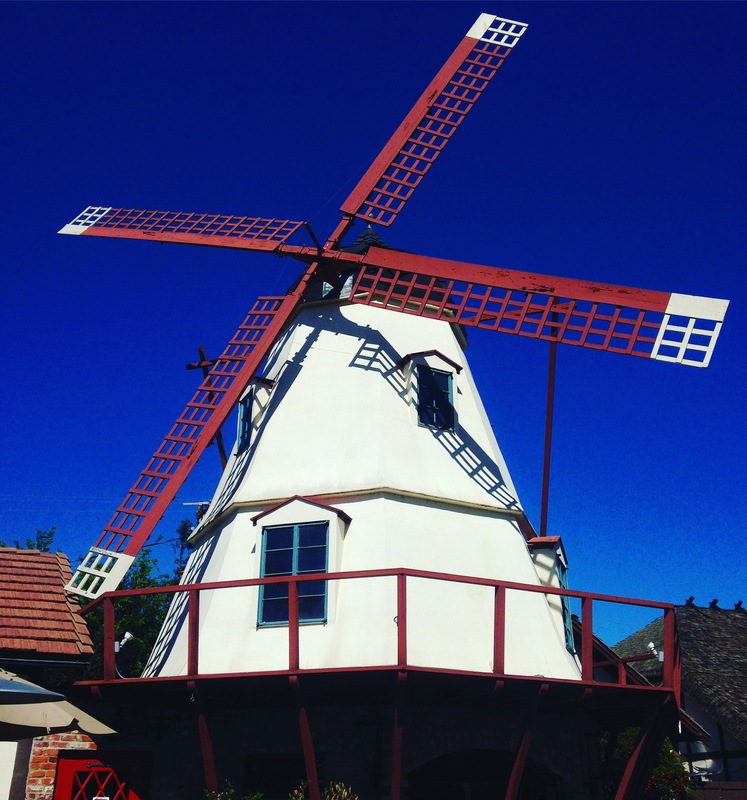 Solvang is definitely the most family friendly destination in the valley and offers tons of little museums and other attractions. All around town you can find traditional Danish breakfast food and sausages, although, to be fair, many of my favorite Danish offerings were not to be found. Solvang Brewing Company where you can also sample their selection of local brews. Paula’s Pancake House – the most popular breakfast place in Solvang, You can find aebleskiver here as well as other popular Danish dishes. Expect a wait on the weekends. Solvang Restaurant – also serves Aebleskiver and medisterpolse, but if you don’t dine in, you can order them from their take-out window. Solvang Brewing Company – huge menu with lots of beer. What’s not to love? Elverhoj Museum – This museum explores Danish heritage and the history of Solvang. The museum is located in the former residence of a local artist, and the house itself contains elements of Danish architecture. Hans Christian Andersen Museum – This museum explores the life and works of Hans Christian Andersen through exhibits, models of his early childhood home and stories, and artwork. This is the most visited museum in town. Wildling Museum – As a biologist, I was drawn to this museum because it features nature photography, landscape paintings, and rotating exhibits, such as the current exhibit featuring paintings from the Santa Barbara region. Founded by a conservationist, I’m always happy to support endeavors such as this one. Ostrich Land – Not quite in Solvang but in the nearby town of Buellton, you can visit Ostrich Land, which is a lot of fun and features, well, ostriches and emus. You can watch them roaming around their large enclosure and feed them, and during the appropriate season, you can even buy ostrich and emu eggs. I really love this valley in California and am happy we were able to take extra time after the wedding to explore much of what it has to offer. I love California anyway, but I definitely would not mind spending more time in the Santa Ynez Valley. Yeah, it’s a great area! Omg, the tasting rooms were amazing! Yes! I’m already plotting how to get back! Thank you! I love driving the California coast too. This plus Santa Barbara. 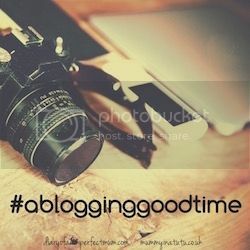 So much to do there too. Love California! Oh wow that looks wonderful. I have never been to America but I am dying to go! Love Napa too! I would highly recommend this area if you loved Napa.